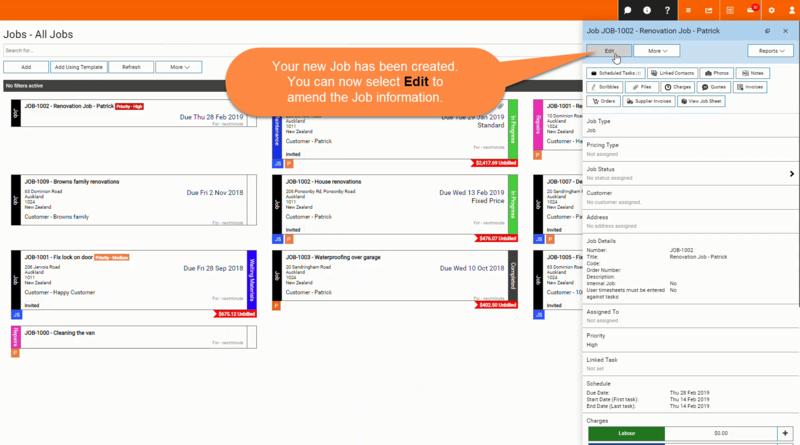 Create a Job from Job Template – Welcome to the NextMinute support and feedback centre. 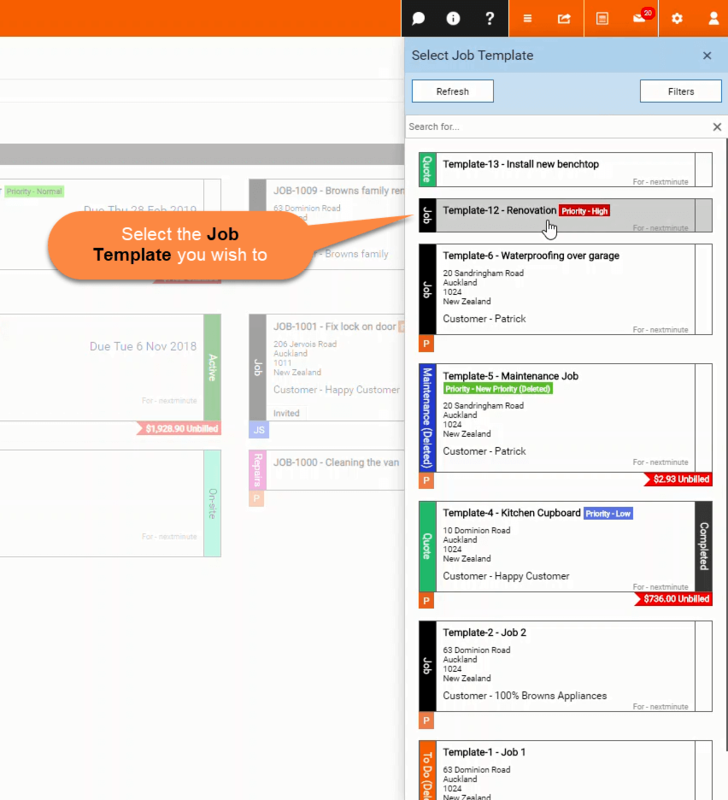 In this article we will take you through the steps in creating a Job from a job template. 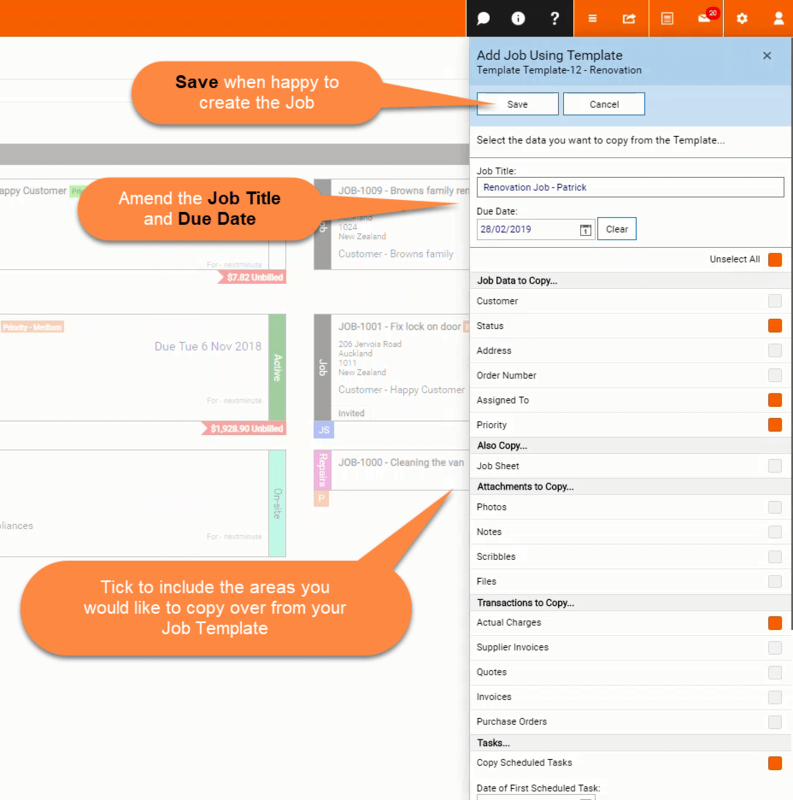 This can be an easier and quicker way to create your jobs. 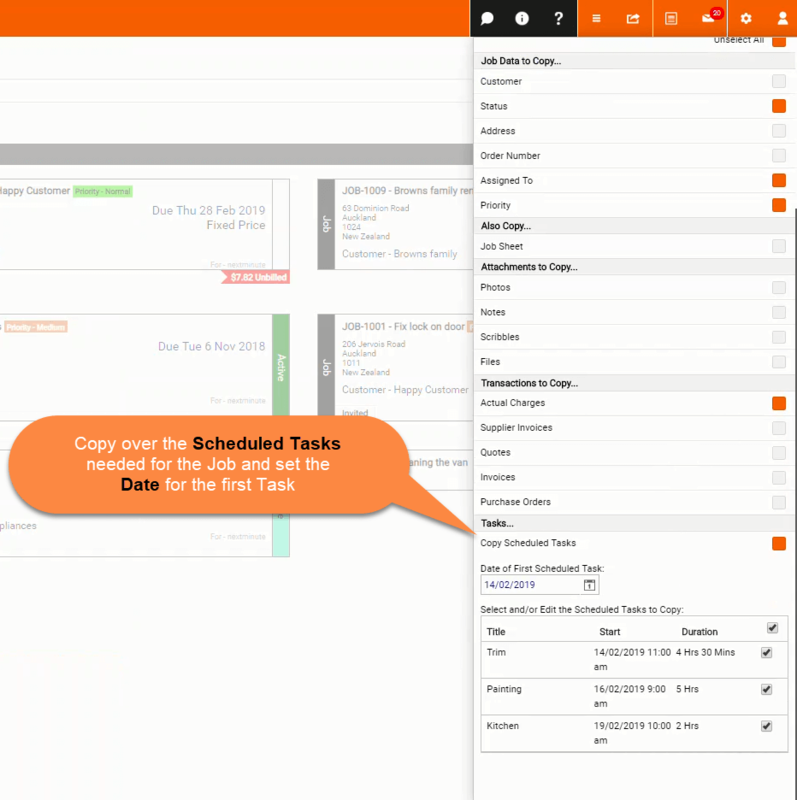 Set a date for your first Scheduled Task and select all the tasks you want to include in the new Job. 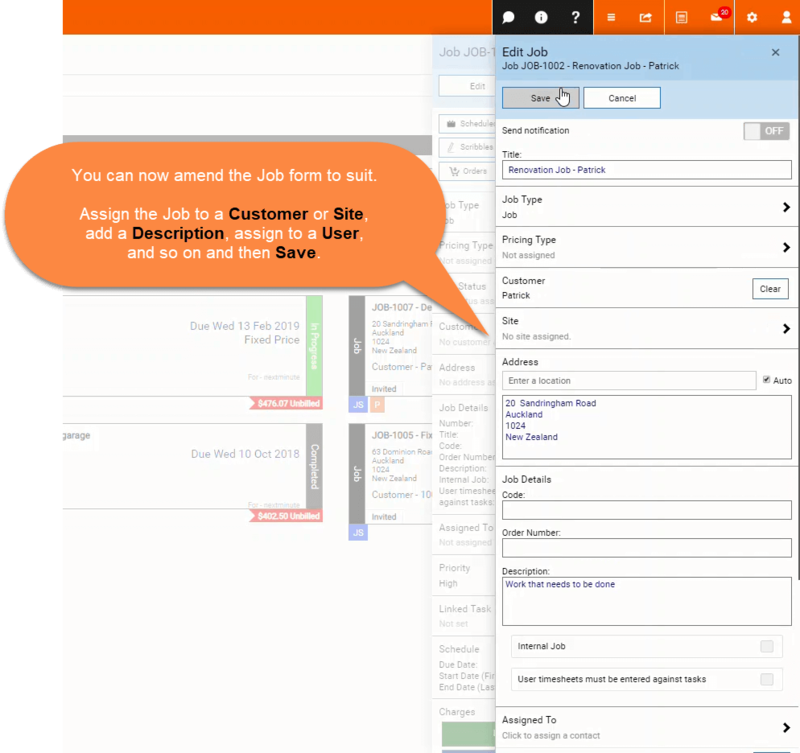 When in edit mode of the Job you can add specific information for the new Job, assign it to a Customer and user and Save. 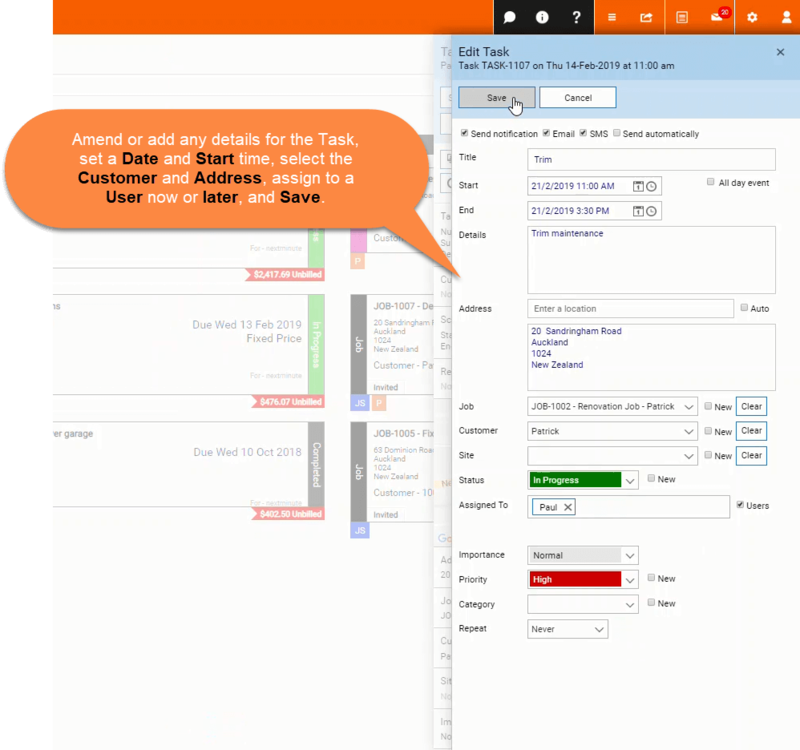 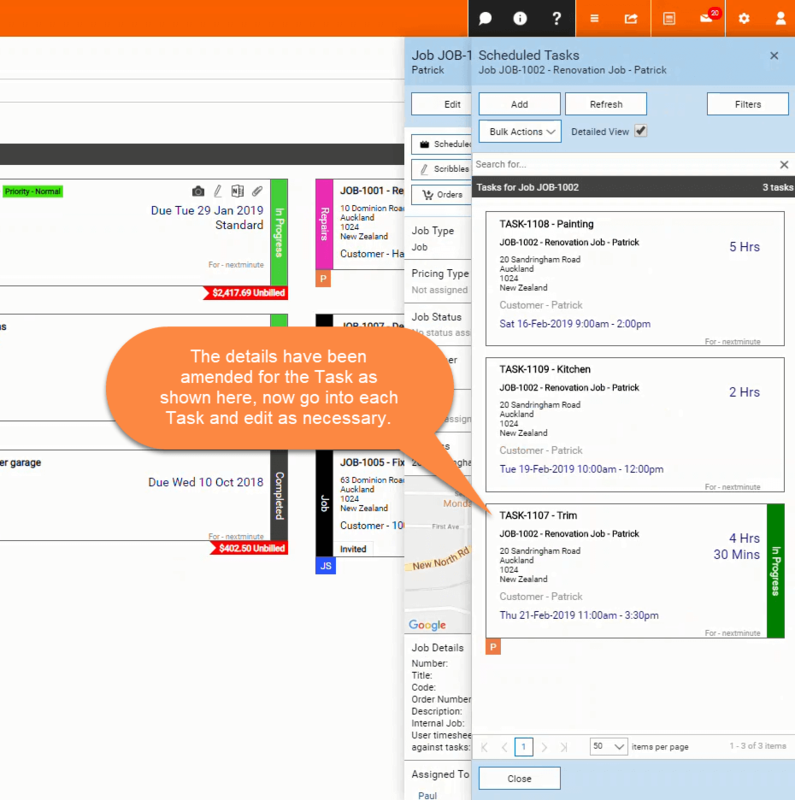 Select Scheduled Tasks to edit each tasks details, set a date and time and assign to a user. 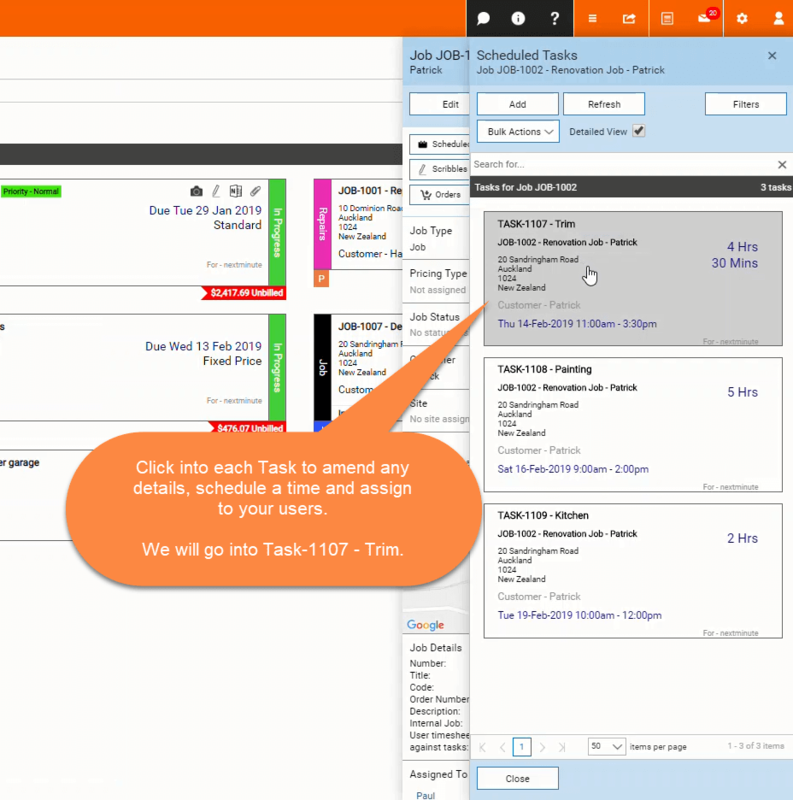 In this example we will go into Task-1063 - Trim. 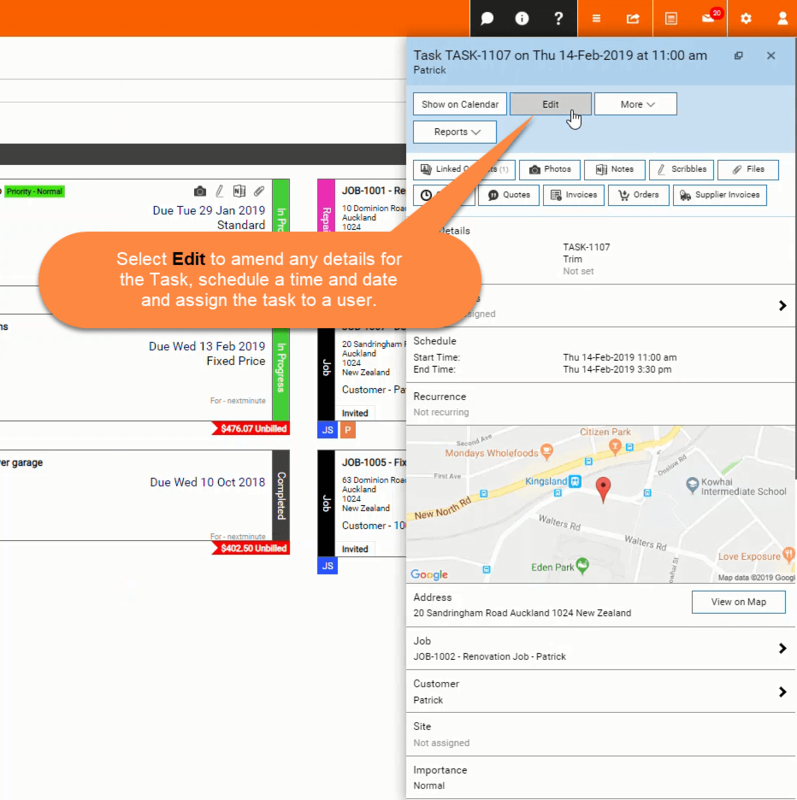 Edit the title, start and end date, details, assign the customer and address, assign the task to one of your staff and save. 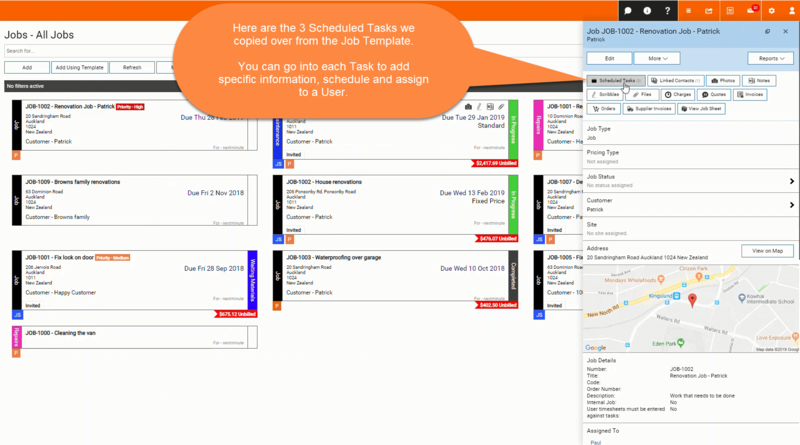 Go through each tasks and edit as required.